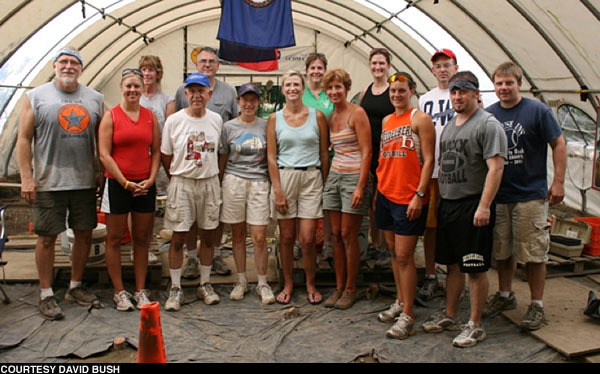 This update was prepared by teachers–Tim, Annette, Jon, Natalie, Stacey, Gene, Rick, and Jen–taking the Archeology for Educators K-12, Investigating a Civil War Prison (EDU 533/534) courses this past week. Teachers excavate one of the 2 meter squares down to subsoil. The class dispelled many myths about archaeology and the process of discovering artifacts at an archeological site. 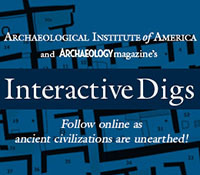 We all would agree the methodology of archeology was important in order to keep us motivated and interested in the subject matter. We understood the need for precision in digging and recording much better during our troweling in the latrine when we were discovering substantial items. On a side note, the importance of the methodology pointed out something to those who are teachers. They began to discuss and understand how students sometimes feel when they do not know why they are doing something, and for this reason, can lose interest in the subject matter at hand. Overall, learning about prison life at Johnson’s Island was enlightening. We all appreciated having knowledgeable teachers who were passionate about their field of study and shared it with us they way they did. This entry was posted on Tuesday, July 17, 2007 at 11:37 am	and is filed under Archaeology for Educators. You can follow any responses to this entry through the RSS 2.0 feed. Both comments and pings are currently closed.